John Wunderlin has had an unusual career of nearly 30 years balancing computers, freelance performing and teaching. John received his undergraduate degree in 1987 in computer science and worked full time as a computer programmer while moonlighting as a musician. In 1999, he came across a link (on the then-new ‘Internet’) for something called the Kendall Betts Horn Camp. He immediately signed up to attend and had a transformational experience of immersion in music while surrounded by exceptional musical instruction and talent on the horn. After attending for several years and growing musically, more and more opportunities became available. John won a position with the Beloit-Janesville Symphony in 2008 and won the principal horn position in 2013. In 2014, John returned to school for a master’s degree in Horn performance at the University of Wisconsin-Madison to focus on his musical career. In addition to the Beloit-Janesville Symphony, John won a position with the LaCrosse Symphony in 2018 and has also performed with other orchestras including Madison, Dubuque, Waukesha and Milwaukee Civic. John is a frequent player for musical theater productions and has been in the pit for more than two dozen shows. 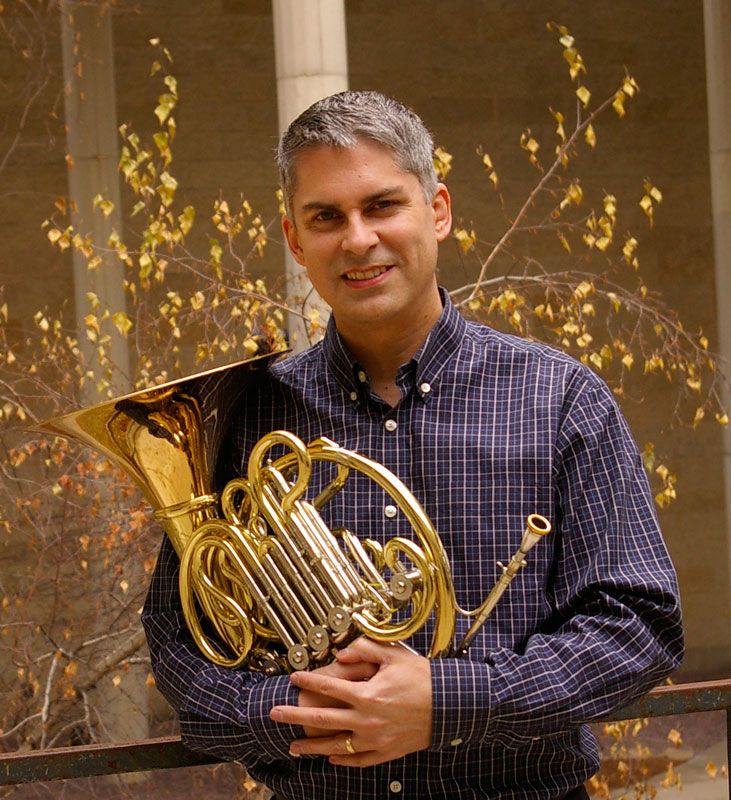 John has played with many chamber ensembles including the Dubuque Brass, Pentissimo, TetraCor, Zephyr Winds, Roundtree Ensemble and the Isthmus Brass. In 2012, John recorded a CD of Clifton Williams music with the Roundtree Wind Symphony (Mark Records). In addition to school and performing, John currently hosts and organizes the Madison Horn Club. In his free time, John enjoys Astrophotography and sailing with his wife Nancy.